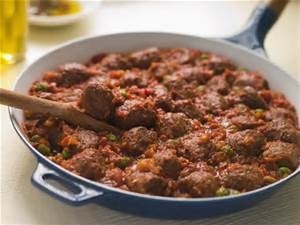 An easy recipe for Meatball Casserole that makes a tasty 'comfort' dish for all the family for those cold and wet spring evenings. Try it! 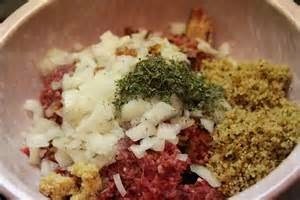 Mix together meat, half the onion, herbs and egg. Using dampened hands shape into 16 small balls. 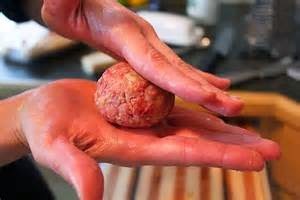 Gently fry batches of the meatball in butter until browned on the surface. 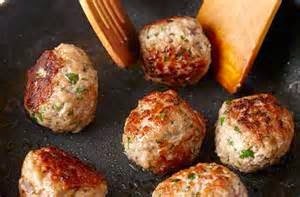 Remove the meatballs to an ovenproof casserole dish. Add the remaining onion and vegetables to butter in the pan and fry for 5 minutes. Blend the cornflour with a little stock, and then add to the pan with the remaining stock and the tomatoes. Bring to the boil, stirring and cook for 1 minute. Pour into the casserole dish. Cover and cook at 190’C or Gas Mark 5 for 40 minutes. 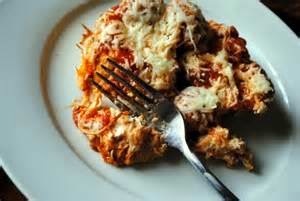 Serve sprinkled with cheese with garlic bread on the side. NO MORE AMERICAN FOOD, PLEASE!